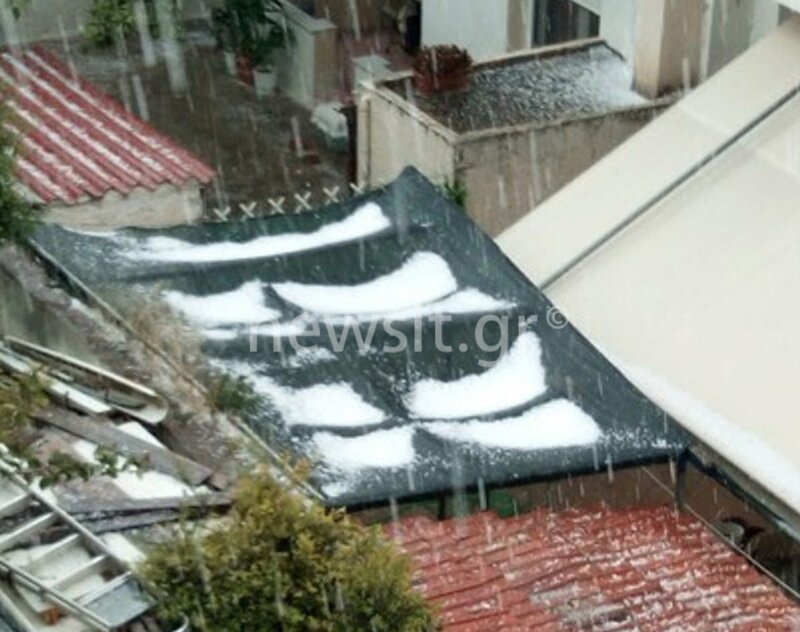 A sudden hailstorm in the middle of April surprised residents on Athens and the south-east suburbs early afternoon Monday. 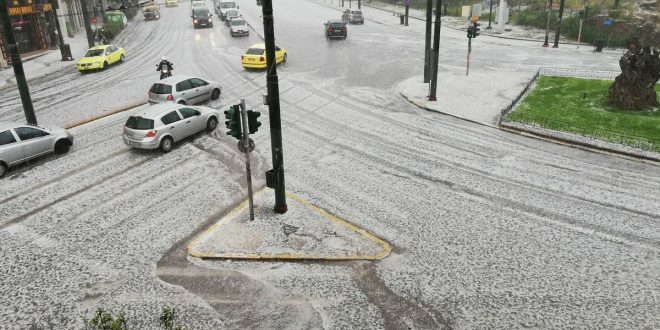 Within minutes, large quantities of hail covered the streets of the Greek capital with big, white, frozen balls. 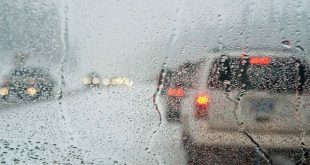 The hail stroke with loud noise the center of the Greek capital as well as the suburbs of Ilioupoli, Palaio Faliro, Nea Smyrni, Pangrati and Agios Dimitrios. Motorists and pedestrians along major avenues in downtown Athens stunned about the intensity of the phenomenon. Prior to the hail storm the sky turned dark grey and the cracking loud noise of thunder presage the upcoming storm. The hail storm lasted about 15 minutes, then it was followed by strong rain. 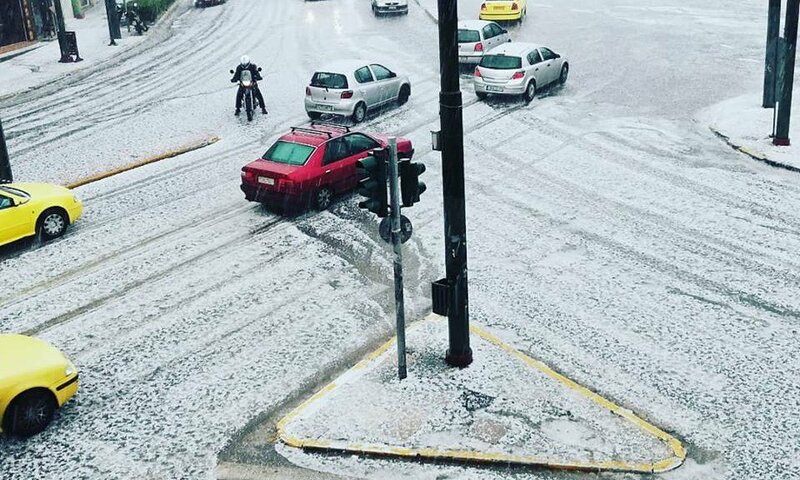 Hail in Panorama, Perama by Piraeus: “I’ve never seen so much hail,” wrote a Greek on social media. 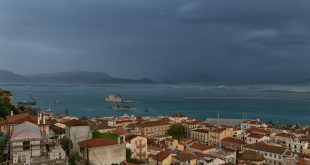 Power outages occurred in several suburbs of East Athens and Piraeus like Korydallos, Peristeri, Petroupoli, Kamatero and in Nikaia, Keratsini, Renti. 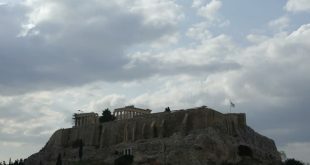 Hail and thunderstorm did not strike only Athens but also other regions across the country. 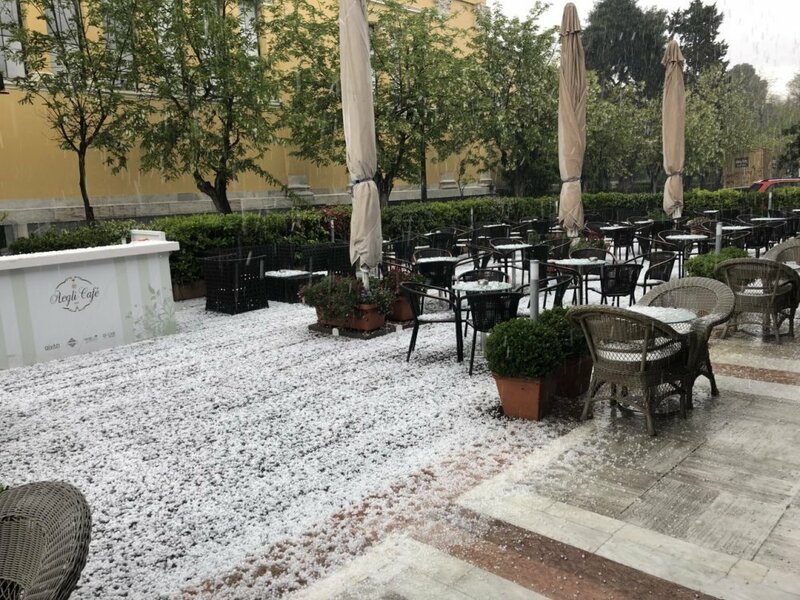 Thodoris Kollydas, meteorologist at the Greek National Weather Service, posted on Twitter the areas hit by thunder- and hailstorms on Monday. 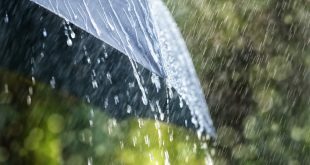 April weather will continue with rainfalls, thunder- and hailstorms also on Tuesday, April 16, 2019. Of course, all Greeks do care right now is how the weather be over the Easter days, April 26-30. But it is too early for a reliable weather forecast.